Live street performers will play during 3pm-7pm on June 16, coinciding with the Art & Restaurant Pop-up Tour. You can find busker stations in front of Carbondale Tourism and The Varsity Center. Musicians will play 45-minute sets at each location. 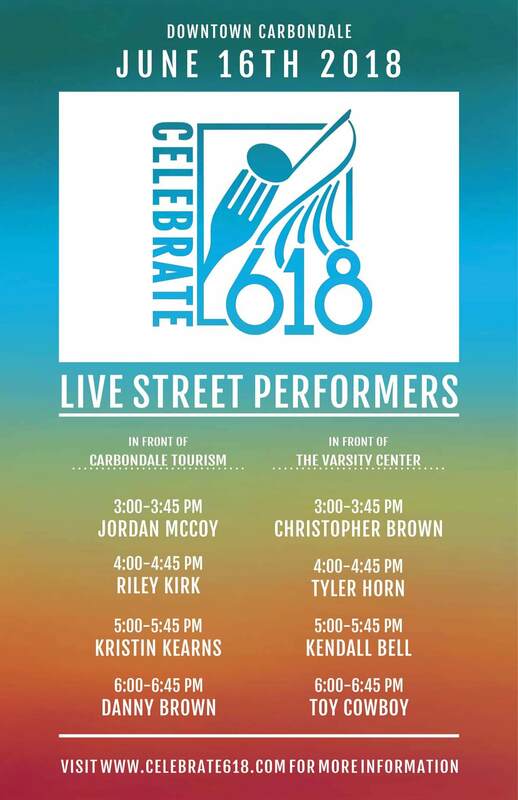 Performers include: Jordan McCoy, Riley Kirk, Kristin Kearns, Danny Brown, Christopher Brown, Tyler Horn, Kendall Bell, and Toy Cowboy.